The June 26 broadcast, like football, was a show of two halves. The first half consisted of all new releases, including a few from our friends at Sine, Cold Busted, Easy Summer, and Uncomfortable Beats. The second half consisted of music I played at a fusion dance in Durham the previous evening. That part of the show had some major label music in it, so it won't be available on the podcast feed, but you'll be able to stream it on Mixcloud. 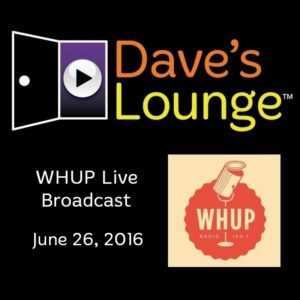 Be sure to tune into WHUP-LP FM 104.7 in Hillsborough, NC, this Sunday at 3:00 PM Eastern Time for an all-new edition of Dave’s Lounge.